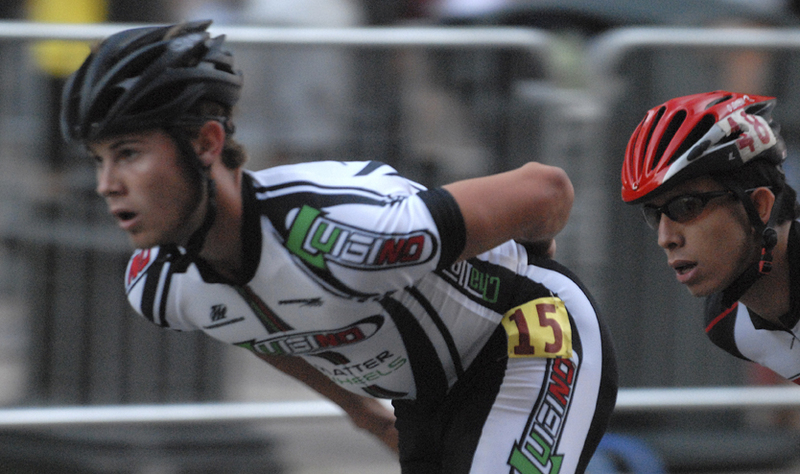 Still Leading - Joey Mantia holds his lead in the "Miss and Out" Criterium. Just behind him is Tru-Rev's Julian Rivera of Colombia. The race started with 20 elite skaters. On each lap, one was eliminated until only three remained for the final lap.